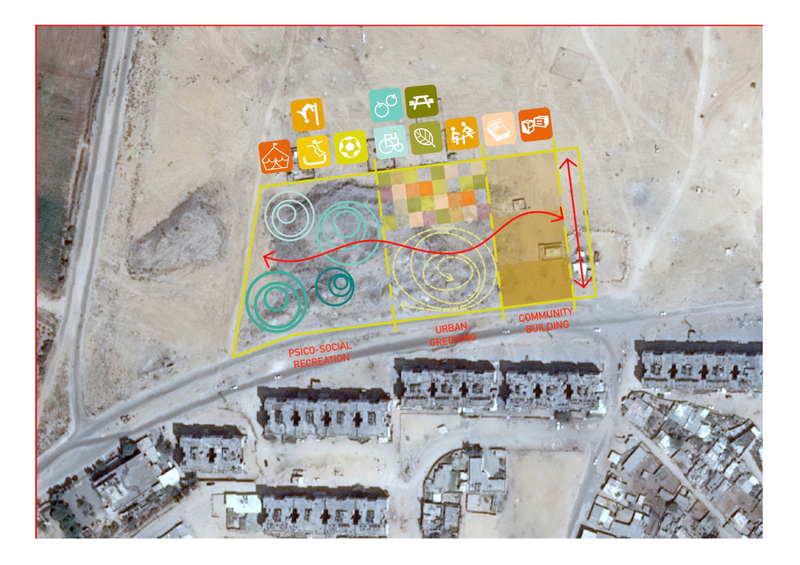 The project aims at enhancing the urban space in the social housing neighbourhoods of Al Nada, Al Isba and Al Awda by rehabilitating a public open space. The space will be used by the community to promote activities for social inclusion and to support micro- and small-entrepreneurship. The Studioazue (SA) team has been contracted to technically assist the project partners in identifying solutions for reclaiming the area presently used to dump solid waste and to provide a comprehensive design to regenerate the open space. The design process is implemented adopting a participatory approach and it includes the establishment of a sustainable, inclusive, economically-sound management system for the running and maintenance of the area.